We offer a variety of training and development options so that our solutions are accssible for all sizes of businesses, with the option to engage in ongoing assistance or peer management groups. Check out our many flexible options. It’s never been more challenging to attract and hire great employees for your business…and yet they’re out there, looking for their next home! In this two-part workshop, we take you and your managers through a completely new way of looking at the recruiting process. Gone are the days of copying and pasting a job description on a job board to find the perfect person, and no one has the time or energy to weed through hundreds of applicants anymore. Instead, we’ll teach you how to market your company so that the right employees – and only the right employees – are attracted to you. There are countless benefits to promoting from within: it’s great for morale, it makes it much easier to keep your culture, it can bond people, you likely have more trust in your managers because you’ve known them longer, it’s usually more cost-effective…the list goes on. The downside is that unless these people have managed elsewhere, there’s a lot they need to learn – fast when they step into a management role. This course is designed to fill in all the gaps so that you get all the benefits from promoting within, without the risks, or the headaches. The result? You have managers who are running profitable departments…as if it were their own company, and employees who are fanatically loyal. C-Level leaders and business owners often face the looming specter of burnout and disillusionment at the pinnacle of their careers, instead of a joy, fulfillment and sense of legacy that they crave. This course is designed to put senior leaders back in touch with their purpose and calling and help them create a transformational company through the principles of servant leadership. In this cohort group experience, we’ll work through concepts proven to create fanatical staff and customer loyalty and banish burnout. Refresh your leaders and your business with this life-changing course. If you’ve found yourself solving the same problem over and over, or you just know you’re leaving money on the table when it comes to revenue or profitability, or if you are unclear about how to take your business to the next level, this is a great course. In this course, we’ll take you through a behavior-based performance management system that has produced lasting change in the areas of behavioral health, manufacturing, sales, retail, sports, education, and more. There’s power in numbers. Our peer groups are organized so that members benefit from each others’s experience and are encouraged along each stage in their career. What is Organizational Behavior Management? A proven performance management system that provides measureable, sustainable increases in revenue and profitability. 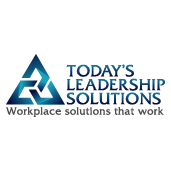 Identify accomplishments and behaviors that lead to organizational goals. Identify what the required behaviors and how to accomplish them. Regularly ocurring, visual, and objective feedback about performance. Contingent, behavior-based positive social reinforcement. We offer our training and development solutions as courses, single classes, and webinars to give our clients flexibility.